Our 8x6 Woking shed has been designed and manufactured to meet the modern day needs of interior and exterior trends. This outdoor building features the popular pent roof. A pent roof is better known as a single sloping surface, which is ideal for customers looking for a sleek and contemporary finish. Our Woking Shed has been manufactured to our popular 8x6 dimensions. The outdoor building offers plenty of space for a multitude of uses from a storage solution, a children’s adventure house or a relaxing hideaway for all members of the family. What’s more, the contemporary looking shed features a joinery made window frame with toughened glass to create a light and spacious feel inside your shed. The added benefit of a window is especially important if you’re looking to use your garden shed as an office or as an additional room separate to your property. 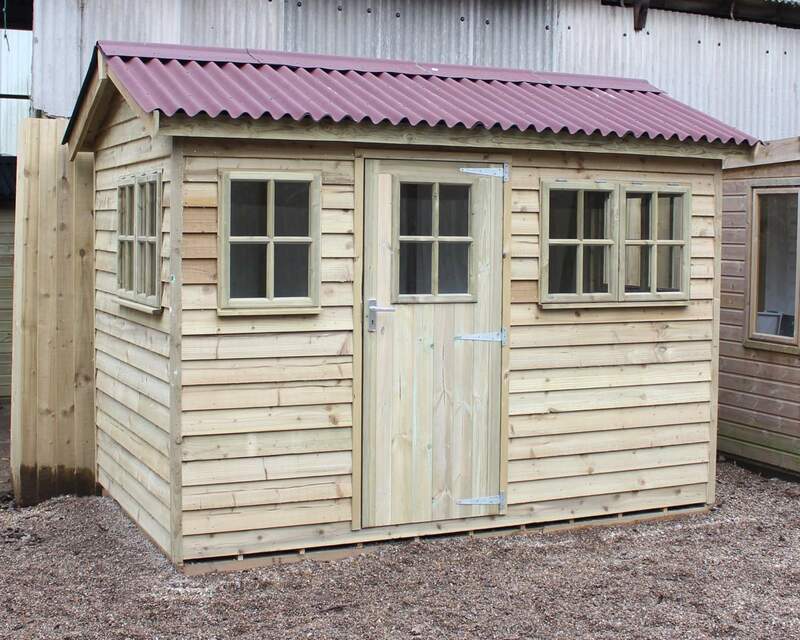 At Ace Sheds, we look to go above and beyond to ensure your garden shed is protected in all weather conditions; our garden rooms have been manufactured using 100% pressure treated timber, meaning your shed is resistant to rot & decay. We also install a high-quality polyester green mineral felt on the shed roof of our buildings to reduce the harsh impact of weathering that roofs are subject to. If you’re concerned with the security of your shed, there’s no need to worry – your Woking shed features galvanized door furniture, which aims to increase your shed security! We also offer optional security features that you can purchase for an additional cost to ensure your belongings remain protected. 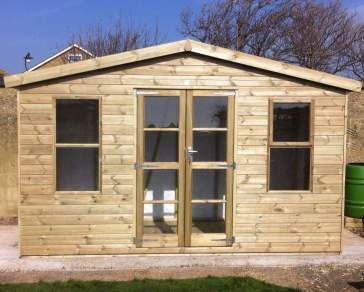 We’re proud to be your local shed supplier in Woking. We have been an established shed manufacturer and supplier for 30 years, as we celebrate our 30th anniversary in 2018. 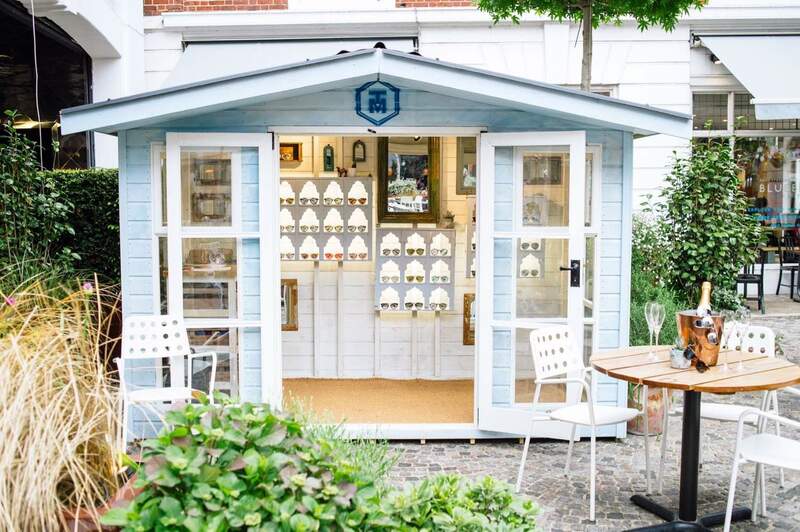 Our show-site in Bethersden near Ashford is ideal for residents near the area looking to purchase an outdoor garden shed; we always encourage customers to come and view our products in the flesh! What’s even better, we offer FREE delivery & installation to all residents within Woking and surrounding villages. There is no need to worry about collecting your garden building, we’ll be in touch when your shed has been manufactured with a delivery date and we’ll even install it too! If the day of delivery isn’t convenient for installation, we can arrange a day suitable for you and our team of expert installers will be over to erect your garden shed! Woking is an attractive place to live with strong transportation links to the city. The new addition to the town ‘Jubliee Square’, marks her Majesty the Queens 60-year reign and has bought vibrancy to the town. Residents and visitors alike can enjoy delicious restaurant food and outdoor seating areas, as well as shopping centres and retail outlets. The areas itself is made up of nine neighbourhood areas which include Byfleet, West Byfleet and Pyrford, Goldsworth Park, Horsell, Knaphill and Brookwood, Maybury, Mount Hermon, St Johns, Hook Heath and Mayford, Old Woking, Kingfield and Westfield, Sheer Water and Woodham and Woking town centre. Residents of these neighbourhoods can benefit from free delivery and installation with every purchase they make with Ace Sheds. Many of Woking’s town boast exceptional rural countryside and beautiful surrounds, all of our sheds have been designed and manufactured using quality timbers and exceptional craftsmanship to ensure they complement all gardens and outdoor areas. If you would like more information about our range of products and service, please get in touch online or contact us on 01233 822042. It also boasts plenty of headroom, making it perfect for large tools and equipment or can even be used as a simple workshop. The Woking garden shed is made from high-quality Swedish Red Wood Tongue and Groove cladding. Standard framing is 47mm x 35mm with eased edges and fully pressure treated. built in diagonal supports add strength and stability, The roof and floor are made from 12mm T&G boarding which gives strength and durability. The floor has runners (50mm x 25mm Pressure Treated battens) spaced approximately 1' apart to give adequate air flow. The Roof has main and Intermediate beams for roof strength and is overlayed with a good quality green mineral felt.